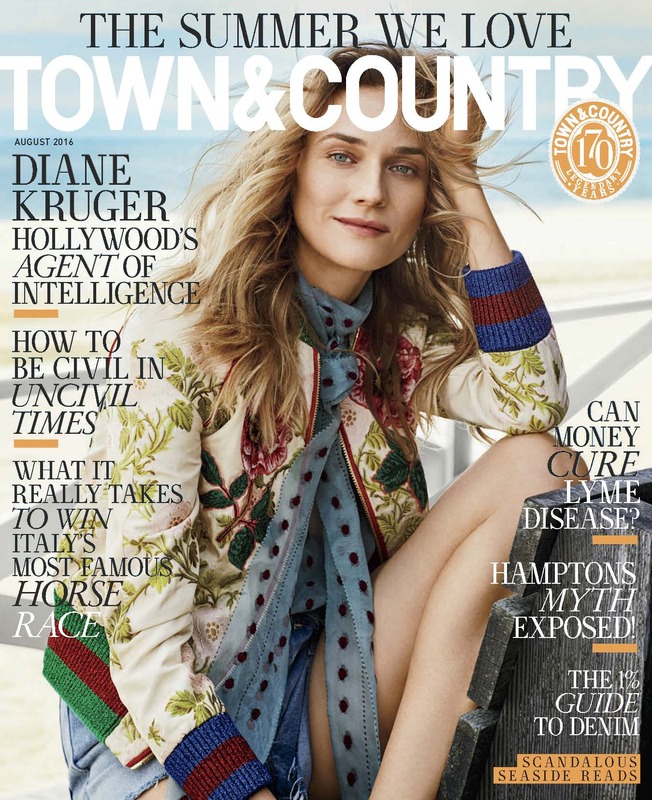 This month, Diane Kruger fronts Town & Country in a medley of Gucci (j’adore!) Inside the issue, she opens up about kickstarting her modeling career in Paris as a teenager, why she had an identity crisis, and her beau Joshua Jackson, and poses in looks from Miu Miu, Hermes, and more for a set of black-and-white shots. Below, a few highlights from her interview; for the full story, pick up a copy of the August issue, which hits on newsstands July 5.